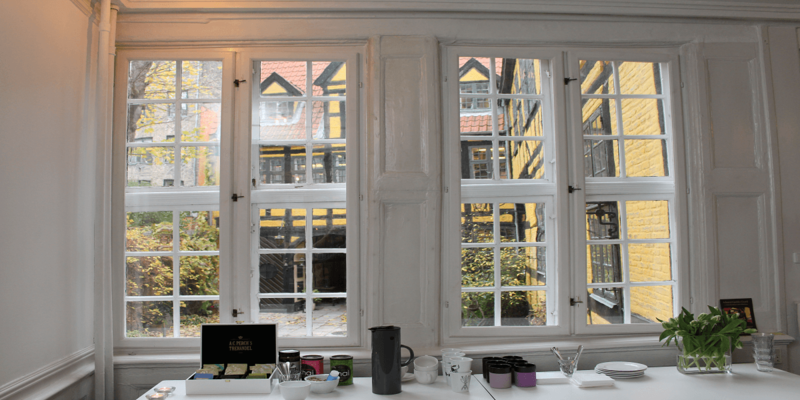 If the walls of Admiral Gjeddes Gaard could talk they would tell fascinating tales. 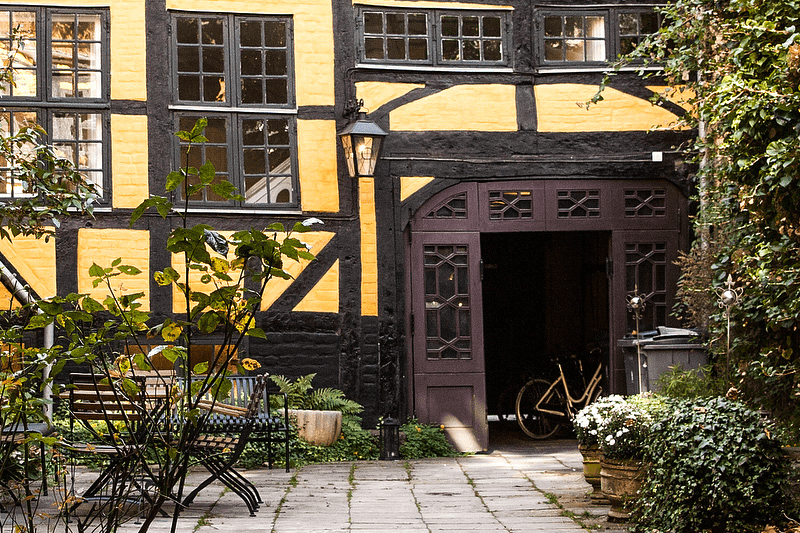 Admiral Gjeddes Gaard is one of Copenhagen's oldest meeting places and during the course of time it has hosted academic, cultural and political meetings - including famous Danes such as Ludvig Holberg, author Tom Kristensen and former Primeminister Th. Stauning. 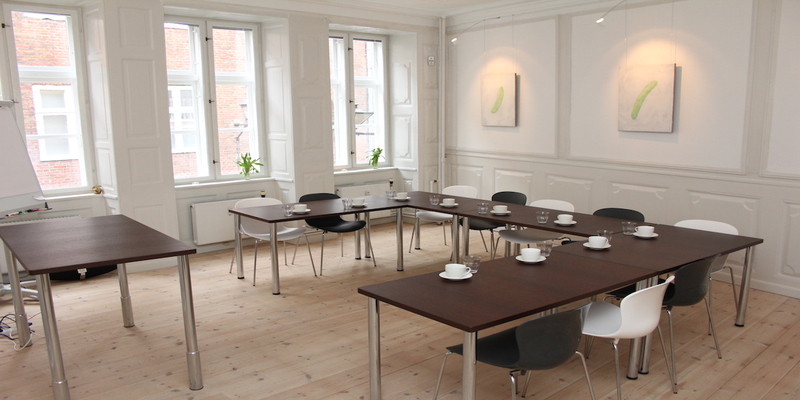 Today you can have your reception, meeting, seminar or party at Admiral Gjeddes Gaard. We offer quality facilties and dedicated staff. You are welcome to choose from our set arrangements, just renting the facilities or a combination of both. 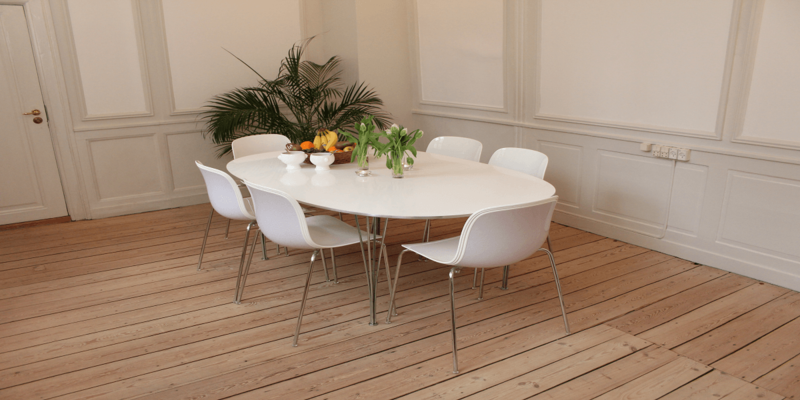 We also offer individual solutions suited for your needs - from basic to Michelin stars. We do not have any room but plenty of hotels in all categories in very short walking distance. A historic place with a completely unique atmosphere. 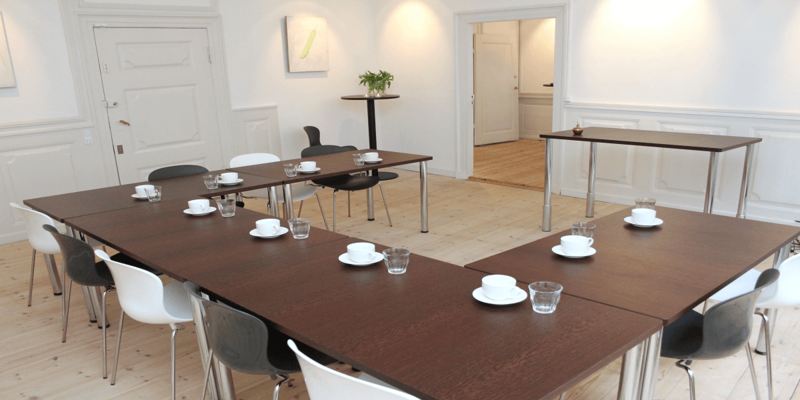 Private meeting and training rooms in a secluded yard without public access. 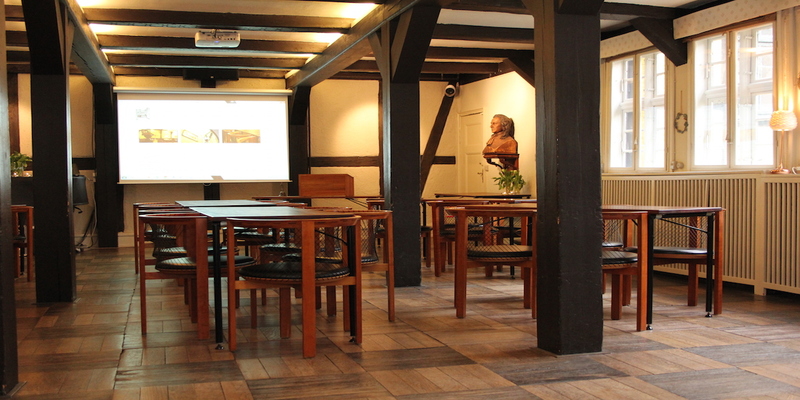 Possibility of exclusive use so that only one meeting is held at a time on site. Whiteboard, flipchart, canvas and projector and speakers. In Holbergsalen is a very good Yamaha Piano. We can accomodate up to appr. 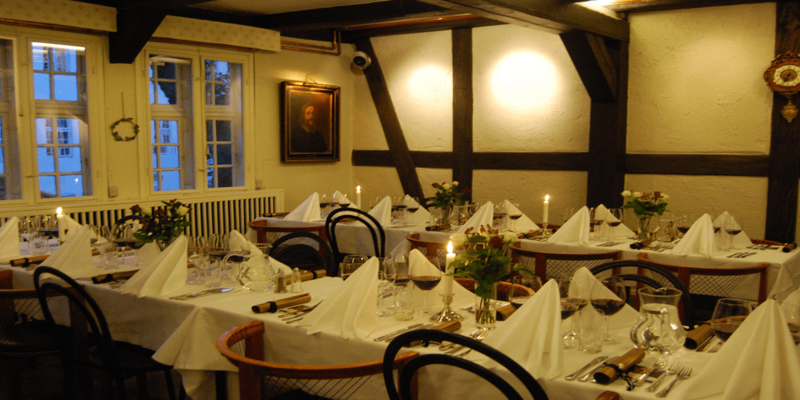 36 guests for a full day event (Holbergsalen 80 m2) and serve lunch in our cosy Inn (Digterkroen 60 m2). 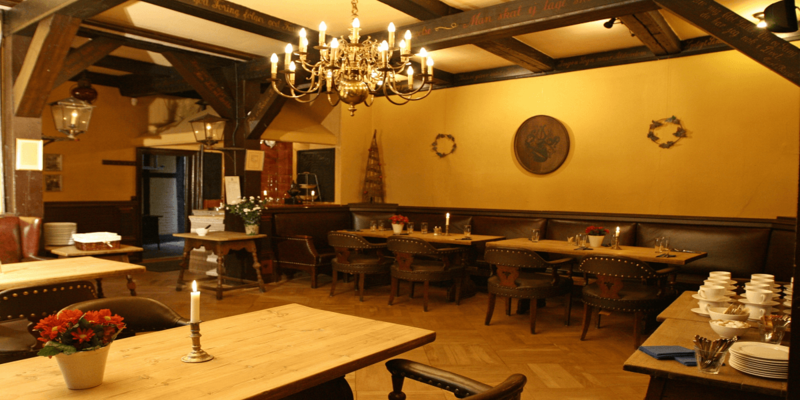 In Holbergsalen we can arrange for a cinema-seating for up to 70 guests and dinner for 64 guests. Leonora Christina & Corfitz Ulfeldst apartment (230m2) is good for groups up to about 24 people - with 4 breakout rooms included. 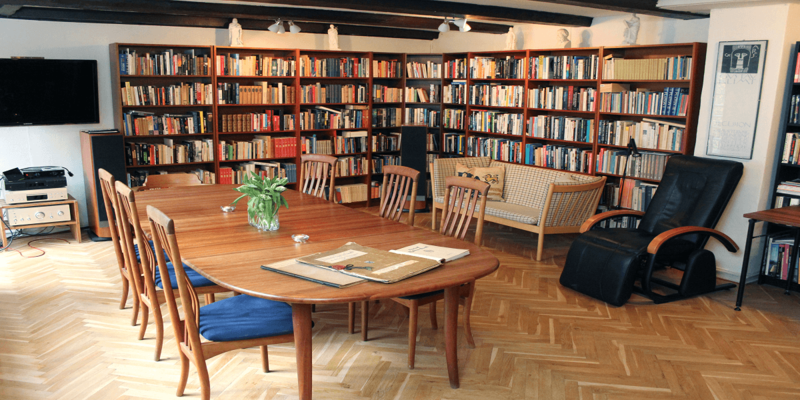 Our Library accommodates up to 10 people in board room seating, 16 in cinema-seating. 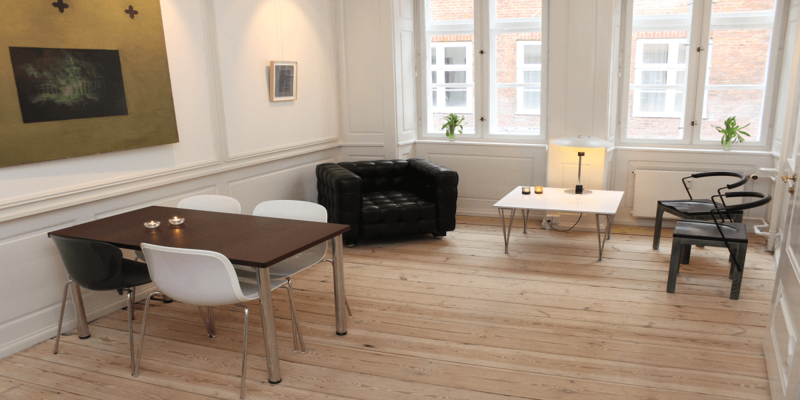 We are located in the very city center - in walking distance to everything - fx Nørreport station - intercity/S- train/metro: 6 min. walk. 20 min. either by taxi or by direct train service to Nørreport station. 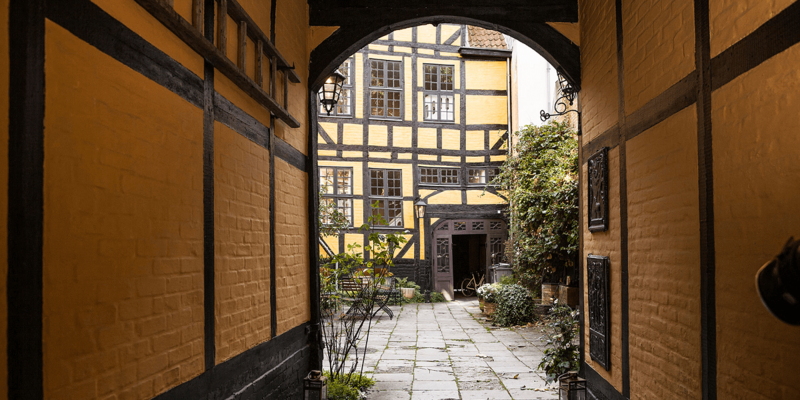 By car: Parking (remember to pay fee at parking metres ) in the streets surrounding Vor Frue Church and Rundetårn or in the underground parking at Israels Plads or Illums. 5- 10 min. walk.